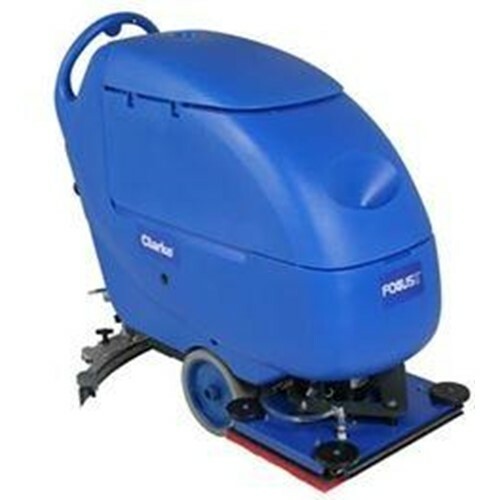 The new Focus II models are the first 20 inch autoscrubbers available with Clarke revolutionary BOOST Technology. If you demand high levels of cleaning with the ultimate in green benefits, BOOST technology offers 70% reduction in water and chemicals, 40% increase in pad life, and the added benefit of stripping floors chemical-free, compared to traditional disc models. No other manufacturer comes close to matching Clarke combination of serious cleaning ability and green benefits in autoscrubbers. The Focus II models are available in 2 different models. And all of the Focus II scrubbers feature important benefits such as low noise levels, improved user ergonomics, on-board chargers, breakaway squeegees and more. The Focus II BOOST L20 has also been certified as -High Traction- by the The National Floor Safety Institute. Awarded on Oct. 29, 2008. The Focus II is also available with a 20 inch disc scrub deck and power traction drive. The brush/pad driver installation and removal is made simple with an easy on/off push button control. The high speed agitation of BOOST not only has superior cleaning performance, but also wet shines the floor to reduce burnishing requirements. Easy access to battery compartment is great for maintenance and installation. Choose either 130 Ah wet or 145 Ah AGM batteries. One-touch control panel is simple and effortless to operate. Ergonomically placed controls for all functions.